My van is older, but runs well. It has get up and go with only 6 cylinders. It came with an awesome Bose stereo and a DVD player for the back. I love that it has a truck look to it. I don't like that it has larger 17 inch rims making the tires more expensive and has trouble starting after about a year of driving, which costs $100 to clean out and fix each time. It also only has one key hole to unlock it. Minivan adventures in our family. I love having a bigger car for room and safety reasons. I do not like how much gas it uses to run. My car was decent until the air conditioning stopped working on a 100 degree day while driving to Chicago from Nebraska for a funeral. Sometimes a minivan is hard to park. I use to own a Honda Civic which I loved but now I drive family members around and the bigger car is better for that reason. 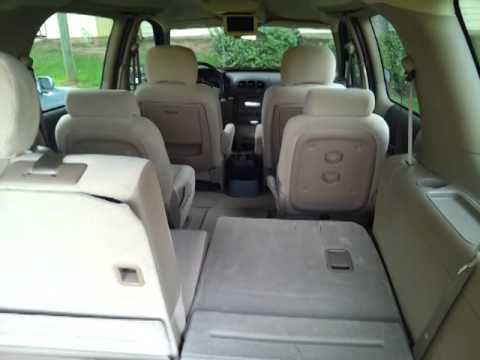 2005 Chevy uplander with 107, 000 miles. Needs body work, great engine. My uplander has 107, 000 miles and the engine is great, very reliable, good pick-up. It is a 6 cyl. It is loaded with many nice amenities like power seats and windows, TV for rear seat, 3 row seating, CD player, roof rack and more. The body needs work, no rust, but some dents on passenger side and front & rear. It also needs a new tie rod for the front right wheel.